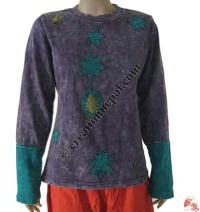 Creation Nepal, the Kathmandu based company manufactures and exports high quality Nepalese short sleeves t-shirts and long sleeves tops. 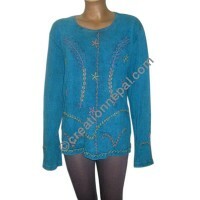 You will find Nepal patch-work t-shirts, hand embroidered t-shirts, razor cut design t-shirts, colorful long sleeves tops including stone wash colorful and trending fashion ethnic design Nepalese tshirts, long sleeves tops and blouses below. 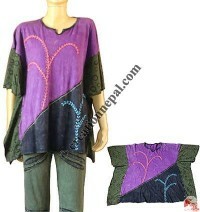 Varieties of beautiful Nepalese t-shirts, short and long sleeves tops made of ribbed cotton, sinkar cotton the stretchy cotton, rayon etc. 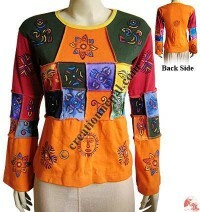 are offered online by Creation Nepal in competitive wholesale prices. 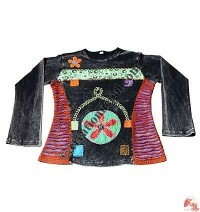 There are different styles beautiful pattern long sleeves tshirts and short sleeves t-shirt made with wide variety of art work and colours. 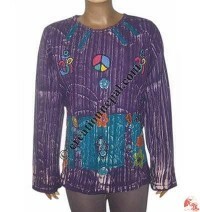 Layer cut patch work tie-dye rib t-shirt, hand embroidered 2-layer rib t-shirt, 2-layer cap sleeves tie-dye top, high-neck sinkar top, razor-cut long sleeves rib dress, rib prints patch-work top, hand painted rib choli top, tie dye hand painted choli rib top, Stone wash rib full sleeve top, crochet design multi-prints t-shirt, stone wash patch-work top, patch-work t-shirt, fully hand embroidered rib t-shirt, stone wash patch-work layer cut t-shirt, rainbow stripes rib t-shirt, peace sign patch-work rib t-shirt, hand embroidered rib 2-layer rib top, mushroom design rib t-shirt etc. 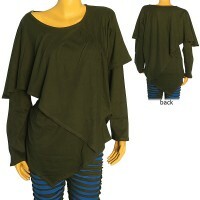 are some of our t-shirts available for online shopping. 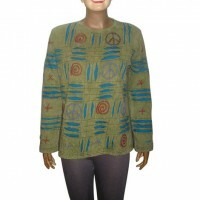 Shop Nepal handmade rib T-shirts, long sleeves tees - hippie clothing Nepal online ! 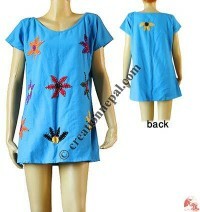 We offer a wide range of Nepalese handmade 100% cotton tees at affordable wholesale price. 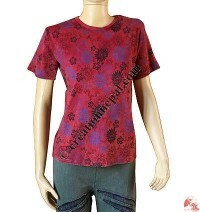 We have Great choices of designs Nepal rib t-shirts, Nepal hand embroidered t-shirt, custom embroidered t-shirts, t-shirts for women, hippie style Nepalese t-shirts, cotton stone wash t-shirts, Nepalese woman clothing summer cotton t-shirts. 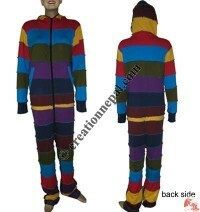 We also accept custom designs and colors, hence interest buyers can Inquire us with your required designs, colors and sizes. 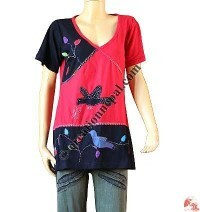 Nepalese tie dye short sleeves t-shirts, hand embroidered t-shirts, Nepalese hand painted t-shirts, Nepal Ladies t-shirts, handmade Nepali t-shirts are designed looking at the trending fashion market. 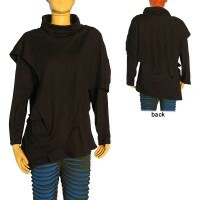 Being a pioneer Nepal Clothing online store we have a large varieties of ladies T-Shirts & long sleeves tops online at Creation Nepal Nepal. 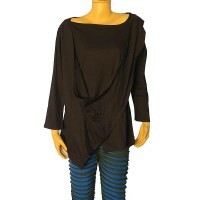 Try our large selection of short sleeves T-Shirts & long sleeves t-shirts online at reasonable wholesale price.